San Francisco Department of Public Health (SF DPH) cares for some of the most vulnerable residents, yet we consistently face unsafe staffing ratios that worsens our patients’ outcomes. Meanwhile SF DPH is facing a recruitment crisis by failing to provide competitive wages with the city’s other hospitals and clinics. Front-line nurses voices are being ignored in the decision-making that impacts our patients. We have an opportunity to address the challenges facing nurses and our patients during contract negotiations. Our contract expires on June 30, 2019. We need to hear from you to prioritize all of our issues at the bargaining table. 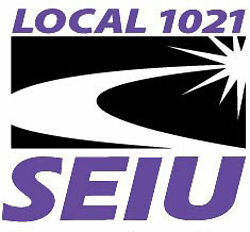 Filling out the SEIU 1021 RN bargaining survey today. For your bargaining survey to be processed, please fill in all the information below. Join the Contract Action Team (CAT) and attend CAT meetings. Every worksite, unit, and shift should have a CAT member.